Report: Four new Samsung Galaxy J handsets will be unveiled this month, each with "Infinity Display"
A new report published today says that we should be on the lookout for four new Samsung Galaxy J handsets that could be unveiled as soon as this month. The devices will feature the thin bezel design that the manufacturer calls "Infinity Display," which can be found on the company's 2017 and 2018 flagship phones. Samsung hopes that by bringing the sleek, modern look to its budget devices, it will be able to compete in developing markets like India where value leader Xiaomi has thrived. The new phones will feature the S Bike mode, which turns off notifications when the user is riding his bicycle. They will also include Ultra Data Savings mode which, when enabled, will stop apps from running in the background except for six individual apps that the user selects. And the new models will support Turbo Speed technology. The latter uses software optimization to help apps open faster, and allows for a smoother multitasking experience. Samsung was the top smartphone manufacturer in India until the fourth quarter of 2017. Since then, Xiaomi has taken over. 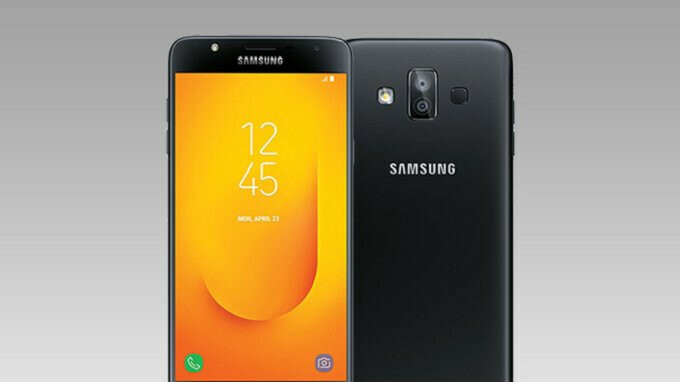 Just last month, Samsung unveiled the Samsung Galaxy J7 Duo (see in the image at the top of the story) to compete with the Xiaomi Redmi Note 5 Pro. The Galaxy J7 Duo features a dual camera setup in back (13MP + 5MP) and is priced at 16,990 rupees ($253 USD at today's exchange rates). The Redmi Note 5 Pro, which also is equipped with a pair of cameras on the back, is priced at some Indian retailers at 14,999 rupees ($223 USD). India is currently the second largest smartphone market in the world following China. The problem is that the most recent data (from 2016) shows per capita income in India was $1,670. That ranked the country at 112th out of the 164 tracked by the World Bank. That's pretty amazing from budget phones to get some form of the infinity display design language incorporated into their design, as cheap phones usually have pretty bad and boring designs. People buy them because they do what they need to, but just because they do what they need to, it doesn't mean that people wouldn't appreciate an objectively better and an aesthetically more pleasing design. People who don't have massive large hands typically select smaller phones, not because they don't care about a big screen, but because it is too much of a hassle. If these budget phones are giving a better design, then it would make it possibly to have a larger display in a smartphone that has the same dimensions as the last year's version. Need to support these devices longer. This should be their top priority. Samsung J series need to learn from Xiaomi Redmi 5 / Redmi Note 5 series. Affordable with big battery & good updates. Samsung J series is not competitive. The J series 2018 wont make samsung win back the customer its lost to xiaomi.